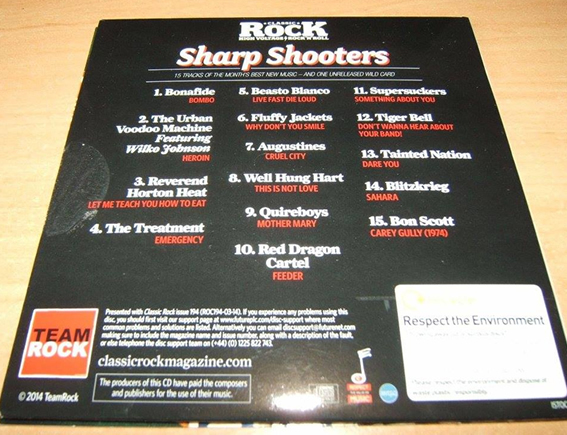 The Fluffy Jackets' first single has been included on Classic Rock Magazine's CD Compilation "Sharp Shooters" (magazine issue 194). 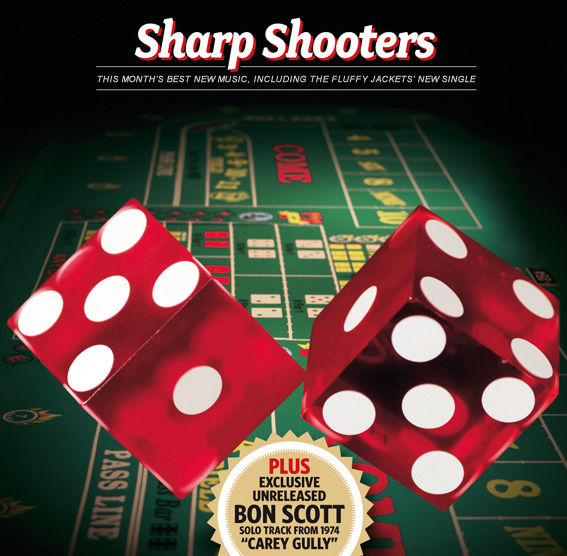 The CD features 15 tracks from this month’s best new music. Apart from The Fluffy Jackets, it also includes Quireboys, Augustines, The Treatment, Wilko as well as and one previously unreleased song from Bon Scott! 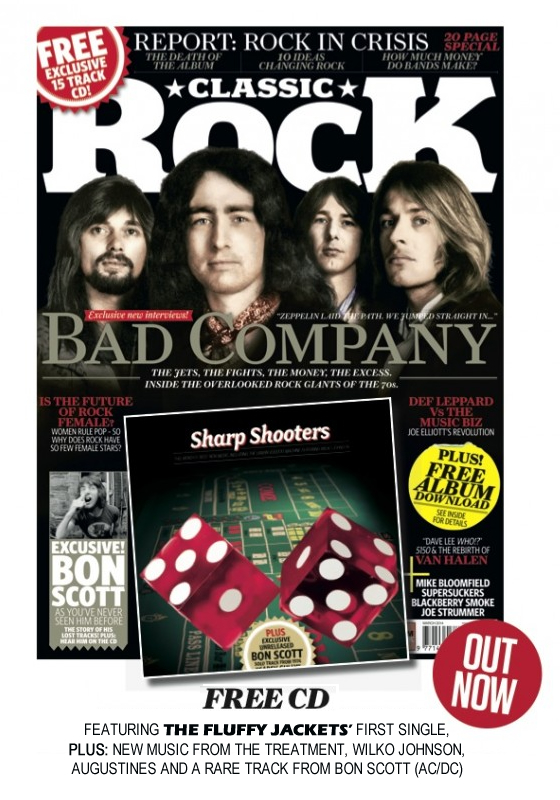 Otherwise, the brand new edition of Classic Rock (issue 194) features Bad Company on the cover, an epic treatise on the current State Of Rock, plus features on Van Halen, Mike Bloomfield and Bon Scott. 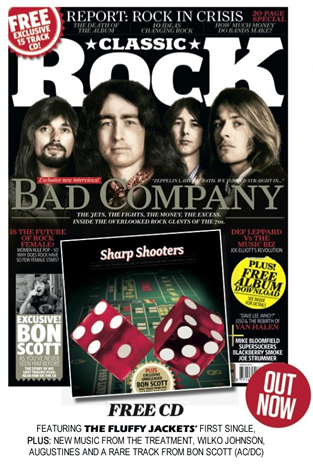 The Classic Rock Compilatnion CD, released 1 February 2014.